In 1995, West Central Initiative received designation from the U.S. Department of Commerce Economic Development Administration (EDA) to become the region’s Economic Development District (EDD) designee. The dissolving of the West Central Regional Development Commission (RDC) in 1982 left the region without the ability to attract federal infrastructure dollars. At the request of communities in the region, WCI applied for and received EDD designation on behalf of west central Minnesota. An annual planning grant from the EDA enables WCI to carry out the EDD activities for the region. There are two major components of fulfilling the role as the region’s designee. One is providing technical assistance to communities invited by the EDA to apply for grants for public works infrastructure. The second is annually submitting an approved Comprehensive Economic Development Strategy (CEDS). An EDD Board of Directors governs the Economic Development District. The board consists of the WCI Board of Directors and elected officials representing units of government from the region. The EDD Board oversees the activities of WCI in their role as the Economic Development District designee. 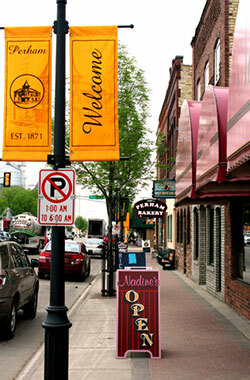 The focus of the economic development program is to improve the quality of life in west central Minnesota by helping communities develop plans for where they would like to see themselves in the future and by promoting community/economic development through the creation, retention and improvement of high quality jobs. The Business and Economic Development Director connects communities to various state and federal community development programs and resources. In addition, the Director develops and maintains networks with economic development professionals and local elected officials. For more information on WCI's Economic Development Program, email Greg Wagner, director of business and economic development.